Do lunch beneath skyscrapers in the Theater District at Food Truck Tuesdays on Jones Plaza between Tuesday, March 1 through Tuesday, May 31, 2016. Enjoy a rotating cast of local food trucks week in and week out in Downtown’s scenic Theater District every Tuesday from March through May (excluding Tuesday, March 8). 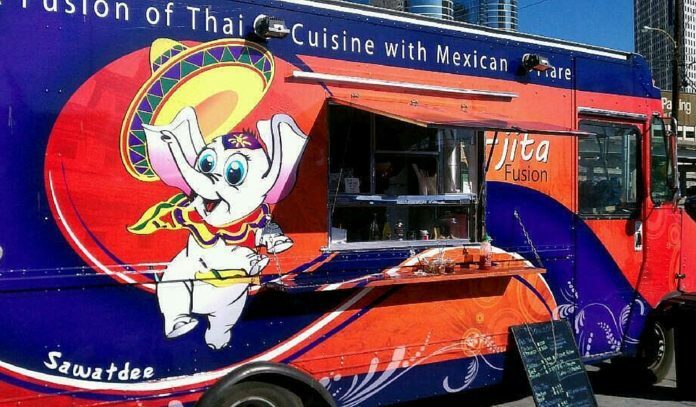 Lunch goers can keep up with what three specific trucks will be on site at Jones Plaza each week via the Theater District Houston Facebook page. The Houston Theater District, a 17-block area in the heart of Downtown Houston, is home to the majority of Houston’s performing arts organizations. With the Bayou Place entertainment complex, restaurants, plazas, and parks nearby in addition to the many award-winning performing arts organizations the area has become Downtown’s entertainment hub.